Celebrated nation-building strategist and multi-award winning inspirational speaker, Fela Durotoye turns 41 today, May 12, 2012. 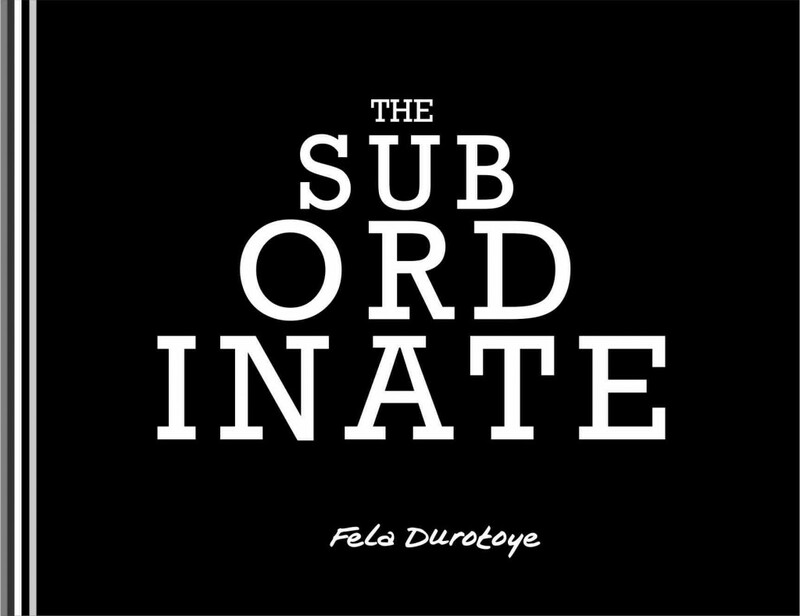 Just like he did when he hit the big 4, with 40 days of impact and 40 events spread across several Nigerian states; this year, he is celebrating with the release of his new book – THE SUBORDINATE. According to Durotoye, The Subordinate, subtitled: becoming the right candidate for promotion always, is one of his first written works and has gone through years of pruning, re-writing. The principles and anecdotes presented in it have also been tried and tested over the years. This highly anticipated title by Fela Durotoye is a first of its kind in Nigeria in many regards. It is a 165 page full-coloured book, garnished with exceptional graphics and pictorial representations. Measuring about 25cm in width and height dimensions, it is a thoroughly researched and well presented coffee table book. “The issue is that, your boss has certain expectations from you as a subordinate, which may be quite difficult to express to you up-front. This is because most bosses believe that their subordinates should know these things somehow even though no one ever tells the subordinates about them. In this book therefore, Fela identifies these secret Key Performance Indices (KPIs) from the word SUBORDINATE itself. “Throughout this book, I will help you understand why your boss has these unspoken expectations. I will give you the secret keys to your boss’ heart and you will discover how they can help you win the admiration of your boss and how you can naturally become the right candidate for promotion always,” he says. The book also comes with a foreward from Mr. Foluso Phillips, the Executive Chairman of the Phillips Consulting Group, a business and management consulting firm with offices in Lagos, Johannesburg, London, and Kenya. He is also Fela’s former boss. The book is available immediately in the United States and parts of Europe for $20 only at www.thesubordinate.com. Visitors to the site can also get a sneak peek into the book. According to Mr. Durotoye’s publicist, ‘Seun Salami, readers in Nigeria can also place orders for the book immediately via the website, but it will be available for direct purchase and delivery in Nigeria for N5, 000 as from June 1, 2012. This book is not for everyone. It is for the people who wish to fast-track their career rise. Consider it as the hidden treasure chest of secrets that most bosses may never share with you about what they consider to be your real access to a career fast-track. We wish Fela Durotoye a Happy Birthday and many more years of impact and service to Nigeria.